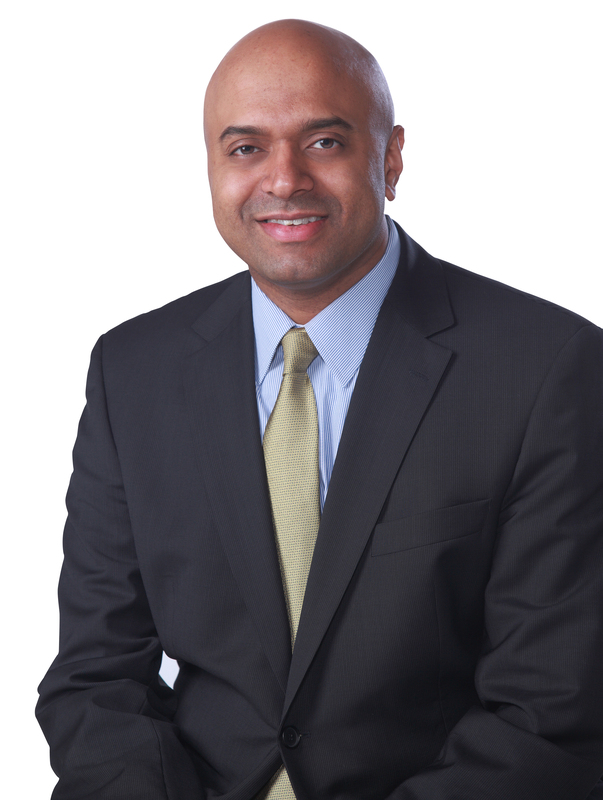 In his keynote session at the DreamIt conference in Tampa, November 6, 2018, Sumit Kimar Nagpal, global lead of digital health strategy at Accenture, says the future of healthcare is about a few simple things: Keeping people safe, providing for their well-being and improving care via information and technology. Sounds simple, but guess what? Traditional players in healthcare are simply not ready, he said. Before explaining why, he painted a portrait of the current landscape and what he expects to come. First, the current marketplace is all about cost then “innovation,” “agility,” “convenience,” and even the supposed “patient experience.” Cost, however, is likely the single most important issue in healthcare, he said, citing its 18 percent of the US GDP. There a lot of talk about convenience and collaboration, but what’s the outcomes? he asked. Cost is the biggest driver. It’s a “cost takeout” marketplace, which is dominated by back office optimization. In other words, reduce costs through back office efficiency controls and strategies to save health systems money. However, there are three important mega trends in healthcare related to the individual consumer. We are aging as a population; we are living longer; and we are facing more long-term conditions. All of this is surrounded by consumerism or the consumer experience and what that means to their health. Another major transformation is that care is shifting in its location. There is a shift of care to the retail setting, for example, out of the four walls traditionally known in healthcare, for earlier engagement of care in the areas where people live, work and play. This even means that experiences are moving online, into the home and into the community setting. Those who give us care is changing, too, he said. We’re used to seeing a doctor or a family care provider in an office at a practice, but that is quickly shifting. Care teams are extending well beyond the doctor into retail pharmacists, friends and family, teleconsultations, visiting nurses and social workers and “Dr. AI” and “Dr. Google. “We’re building a very different relationship with technology to help us decide what’s next and what we have as a condition. This is all about taking down the silos and the four walls, and includes deep, mass personalization,” he said. Some of the biggest problems that investors, entrepreneurs and startup leaders need to solve was the point of a discussion during an opening session of an innovation summit hosted by DreamIt in Tampa in November. According to member of the panel — Daniel Vukmer, senior associate VP of network integration, USF Health; Todd Dunn, director of innovation, Intermountain Healthcare; and Ashley Simmons, director, design integration, Adventist Health System – some of the current top priorities for health systems continue to include patient access to care, better experiences when care is required and, of course, improving outcomes. Those are the priorities that healthcare startups should be addressing. For most health systems, the panelists said, moving healthcare to a much more consumer-centric business model is their most pressing issue – other than providing care itself. Because of this, the seemingly ever-allusive value-based outcomes will likely follow. Simmons said Adventist Health System’s main priority is improving the consumer experience; the consumer is at the end of every decision point. “It’s consumers at the end of the day that we are engaging,” she said. For startup leaders, they can look to Amazon for tips on how to create an overall experience, but they must truly understand the problems they solve or can solve as part of the charter, how they can help health systems solve these problems and who they need to align within the organization to bring about change between the health system and the startup. Innovation is a collaborative effort, Dunn said. Health startup leaders must work with clinicians to understand the most pressing problem that needs solving or the one the health system is struggling with most. Also, instead of brain storming solutions that the startup may think exist, consider “pain storming,” Dunn added. When pains can be identified, solutions can be offered. For Vulkmer, innovation requires a problem to solve, as well as must include a quality value proposition. How will a startup help a system address cost, quality and service – the triple aim? Startups also must align with the needs of health systems to help them make a move and change, Simmons added. “There’s not an area in healthcare that’s not going to need to be served in the next five to 10 years,” said Dunn, meaning there are plenty of opportunities for innovators who wish to take on the challenges. When young, lean and new IT organizations want to succeed, perhaps the best approach – as it is in any business – is knowing the landscape being served, understanding the marketplace and being well aware of competitors. Some startups fail simply because they don’t understand the marketplace they are trying to serve, as well as the most pressing problems they need to solve. Finally, failure for startups can come because they think they can change healthcare at a macro level when their solution is granular at best. To ensure success, startup leaders might consider some best practices. These include engaging someone inside the health system who is championing the effort. Additionally, these leaders may want to time-bind a return time for the system. Also, consider putting a project manager on the plan to keep the project or relationship moving. Verato enables organizations to rapidly improve patient matching or customer matching through two cloud-based products that are powered by referential matching. Verato has invested four years, millions of dollars and hundreds of thousands of hours of data science, data engineering, algorithmic, and cloud-services expertise to build the most precise matching technology on the market. The company has built their solutions in the cloud, so organizations can quickly, easily, and cost-effectively gain the power of referential matching to make their patient or customer matching much better, to dramatically reduce their duplicate records, and to significantly reduce the costs associated with manual data stewardship processes. Verato leaders represent industry experts in big data, analytics, master data management (MDM), and privacy. With a proven track record of building businesses, delivering results for global clients and brands, and developing award-winning products, they are committed to revolutionizing the way our clients manage and match their patient or customer data. Since Verato is the first patient matching or customer matching technology to use the power of referential matching in the cloud, they use a variety of channels to educate the market on the groundbreaking nature of this new technology. Typically, Verato works with other thought leaders in the industry to produce webinars, bylined articles and other speaking sessions and promote these pieces through social media and traditional media approaches. 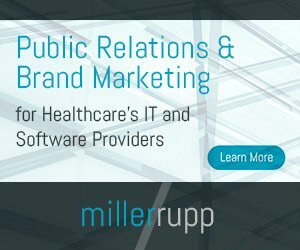 Despite years of investment in master patient index (MPI) matching technology, according to the Office of the National Coordinator for Health Information Technology (ONC), healthcare organizations still suffer from poor patient matching, with matching errors occurring in one out of five patients within a hospital system. What’s worse is that matching errors increase to about 50 percent when exchanging medical records between hospitals. In fact, the College of Healthcare Information Management Executives (CHIME) sponsored a $1 million patient matching challenge and the ONC also launched a $75,000 “Patient Matching Algorithm Challenge” in 2017. Both contests looked at traditional matching technologies and both failed to show any real change in matching success rates. Verato has developed a powerful new matching technology called referential matching. It uses a massive reference database of identities curated from commercially available sources that embody a 30-year history of demographics for everyone in the U.S. This database serves as an “answer key” for patient matching, allowing it to see through errors and changes over time. Verato is the only company to offer a referential matching technology purpose-built in the cloud. Other companies that sell patient matching technology use older probabilistic matching approaches and do not offer technology built reliably in the cloud. SnapNurse is an on-demand technology platform that connects pre-credentialed nurses directly with healthcare facilities to fill empty shifts. Similar to other popular on-call applications, SnapNurse reduces staffing shortages for the healthcare industry at a moment’s notice. SnapNurse was created to help solve the critical nursing shortage currently sweeping the globe. In an effort to support healthcare professionals and facilities through this challenging time, Cherie Kloss, founder and CEO with an 18-year history as an anesthetist, launched SnapNurse to offer a more efficient ecosystem for both sides to work together. After completing a successful 10-year run as a TV producer, Kloss was eager to dive back into the medical industry as a nurse and anesthetist. She quickly realized how difficult it was to land on-request nursing gigs and like many, felt frustrated with the industry’s broken credentialing and hiring process. Kloss soon tapped her deeply seeded network to fine tune the evolving concept of SnapNurse and to build out her team. The organization’s executive lineup delivers an impressive foundation for its technology and healthcare footprint including founder and former CTO of $22 billion trading platform Intercontinental Exchange (ICE) Edwin Marcial as CTO and former Director of Anesthesia Services at Grady Hospital Jeff Richards as COO. SnapNurse is fueled by giving the power back to nurses and finding better ways to offer competitive pay, a simple credentialing process and the freedom to work when you want and where you want, thereby driving the rapid adoption of this revolutionary on-demand platform. SnapNurse connects deeply with both the healthcare institutions and the nurses to offer a better way to work together and fill empty shifts instantly through the SnapNurse talent pool. SnapNurse has successfully established facility-partner relationships with leading organizations across the country where the need is greatest. This has been accomplished by attending top industry events and tradeshows, speaking at local and national events, and leveraging the team’s experience in the industry to connect with noteworthy contacts that are ripe for SnapNurse’s service. The pioneering startup has also focused heavily on fostering genuine relationships with nursing communities in various regions by hosting one-of-a-kind meetup events with one of their notable TV-star supporters from Atlanta, having a presence at job fairs, developing superior testimonial videos from SnapNurse users, increasing their social imprint, among other successful strategies. SnapNurse is used by hundreds of nurses in select cities across the nation, with Atlanta (the company’s beta location) having the highest number of nurses. SnapNurse is a 21st-century solution to the global nursing shortage the world has been experiencing for years. Beyond nurses, global nurse agencies, hospitals, clinics and home health care businesses, among others (combined $344 billion annual market worldwide) can benefit from SnapNurse’s platform and talent pool. Estimates from the World Health Organization (WHO) show the needs-based shortage of healthcare workers globally is expected to top 17.4 million in 2018, of which more than 9 million are nurses and midwives. SnapNurse will help fill this need by connecting more nurses with healthcare facilities in need. SnapNurse empowers nurses to make more money, create their own schedule, and even get paid after the end of the shift. Because of the current services and relationships of SnapNurse and the blockchain software (nursetoken.io) it will soon apply to its platform, there are no direct competitors that offer the cohesive offerings we do. How your company differentiates itself from the competition and what differentiates SnapNurse? The tech disrupter is a favorite among hospitals and nurse managers for its ability to save time and money, increase contract talent pool and view profiles and provide ratings for available nurses. Always on the cutting-edge, SnapNurse is the first company that will apply a blockchain software (nursetoken.io) for credentialing allowing nurses to carry portable authorization passports for instant approval at new centers. Beyond Limits is a pioneering AI company with a unique legacy from the US space program. The company is transforming proven technologies from Caltech and NASA’s Jet Propulsion Lab into advanced AI solutions for forward-looking companies on earth. Beyond Limits delivers AI software capable of tackling complex industrial and enterprise challenges for leading global customers to transform their businesses and industrial operations in areas such as healthcare, oil and gas, finance, transportation and logistics. Breakthrough cognitive technology goes beyond conventional AI, blending deep learning and machine learning tools together with symbolic AI that emulates human intuition to produce our cognitive intelligence. AJ Abdallat is CEO of Beyond Limits. AJ Abdallat worked with HP on key NASA/JPL projects. One of the key projects was a collaboration with NASA/JPL Center for Space Microelectronics Technology (CSMT) and Caltech Center for Advanced Computing Research (CACR). The collaboration which Abdallat managed led to the installation of a 256-processor Exemplar supercomputer with a peak performance of one teraflop (one million computations per second). The Exemplar supercomputer at the time was the fastest supercomputer in the world. In 1998 Caltech hired Dr. David Baltimore as president. Dr. Baltimore vision was to make technology commercialization at Caltech/JPL the hallmark of his administration. In 1998 AJ Abdallat and Dr. Carl Kukkonen (CSMT Executive Director), left to launch a Caltech/JPL startup to commercialize JPL technologies with the support of Dr. Baltimore. In 1999 Dr. Mark James and other JPL scientists joined Abdallat in the Caltech/JPL startup and efforts to commercialize JPL smart sensors and AI technologies. Between 1998 and 2012, Abdallat founded and launched several spin-off companies from Caltech/JPL in the fields of AI, smart sensors, gas sensing, finance and homeland security. Since 2012, Abdallat has been focused on AI and cognitive reasoning systems from NASA/JPL. In 2014 Abdallat launched Beyond Limits, a NASA/JPL AI and Cognitive Computing startup. He secured Series A investment in 2014 and in early in 2017 closed Series B funding from British Petroleum (BP). Abdallat is currently working on securing Series C investment to accelerate delivery of Industrial-grade AI. Beyond Limits delivers AI software capable of tackling complex industrial and enterprise challenges for leading global customers to transform their businesses and industrial operations. The advanced intelligence solutions developed by Beyond Limits magnify human talent, enabling people to apply their attention, experience, and their passions to solving problems that truly matter. Many pioneering JPL scientists now work at Beyond Limits, building solutions for companies in down-to-earth industries, such as oil and gas, healthcare, finance, transportation and logistics. With more than 40 technologies developed for NASA’s famed Jet Propulsion Laboratory (JPL) Beyond Limits offers cognitive AI and reasoning systems available for the first time for commercial use. Beyond Limits delivers cognitive solutions with the resilience, reasoning, and autonomy required by the harsh environment -of space to improve the performance of industrial and enterprise systems on Earth. Powered by Beyond Limits innovations, the company’s technology is an evolutionary leap beyond conventional AI to a human-like ability to perceive, understand, correlate, learn, teach, reason and solve problems faster than existing AI solutions. Beyond Limits has no direct competitors developing AI solutions for healthcare. Competitors may include Troops, SparkCognition, Vicarious and Butter.ai; however, Beyond Limits provides advanced intelligence solutions that go far beyond conventional AI. Our cognitive computing technology mimics human thought processes and provides autonomous reasoning to aid human-like decision-making. How your company differentiates itself from the competition and what differentiates Beyond Limits? Our breakthrough cognitive technology goes beyond conventional AI, blending deep learning and machine learning tools together with symbolic AI that emulates human intuition to produce our cognitive intelligence. Unlike “black box” machine learning solutions that cannot explain their results, a Beyond Limits system provides clear explanations of its cognitive reasoning in transparent, evidence-based audit trails. Our systems are both educated and trained, which greatly reduces the amount of data that is needed to make them intelligent. This means we can solve problems that deep learning approaches alone cannot do. Our goal is to create automated solutions with human-like reasoning powers that magnify the capabilities of people. We pride ourselves as the only AI company that provides solutions for problems that cannot be solved using conventional AI approaches. Beyond Limits goes beyond conventional AI by delivering advanced intelligence solutions that have been tested and proven in the harshest, most extreme conditions in space and the most demanding conditions here on Earth. We deliver cognitive solutions with the resilience, reasoning, and autonomy required by the massive scale and unimaginable distances of interplanetary space to improve the performance of industrial and enterprise systems on Earth. Guest post by Krithika Siddharth, content writer, Innoppl Technologies. Since 2011, more than $870 million have been invested in more than 65 healthcare artificial intelligence (AI) startups. These startups concentrate on various areas, from nursing to drug discoveries, where AI’s potential can be put to best use. This is where the world’s heading towards and the future of healthcare lies. The roots of AI may have been from some science fiction storytellers, but now, the reality is that AI plays a major role in our everyday life. Beginning with the IBM Watson supercomputer defeating the longtime Jeopardy champion, Ken Jennings, the world started taking notice about what artificial intelligence can do. With Google and IBM making tremendous progress with their AI initiatives and the other tech giants (Like Apple, Dell, Facebook) trying to catch up, it makes us wonder what will happen when one day we have robots running around doing our everyday chores. But, the main question should be what will happen when AI does fully breach our day to day lives: Will we embrace this reality and let robots take us over? And do we really need or is it desirable to have self-driving cars and artificial intelligence? Should computers acquire enough data and knowledge to replace our existing doctors? Maybe we do or maybe we don’t, but let’s stop before we get ahead of ourselves. AI should not be perceived as “artificial intelligence” but rather as “augmented intelligence.” It has the potential to process data and make cognitive decisions, which an average human can take many months to process. AI has truly opened numerous opportunities in the field of healthcare, which was humanly impossible just a few years ago. Getting into the facts, the main advantage AI has over a normal human being is the ability to process a gazillion data points within seconds. So let’s imagine a patient walks in with a flu – even to diagnose and treat this common illness with the right medication can take a while. There are some cases where the patients don’t even react to the medication. These are common scenarios, as each body reacts differently to different medicines leading to an increased treatment time. Whereas, if the diagnosis is powered with an AI backed system to help, doctor’s will be armed with all the right data and can diagnose and prescribe the right medication within minutes. How’s that for a game changer? Yes, AI is the perfect medical assistant to healthcare professionals.Through an iPad based electronic medical record, even the patient genome studies could be integrated into their electronic medical reports. Armed with this data, AI has enough information to make a better analysis and provide accurate treatment plans based on the patient’s medical history, genetic conditions and other medications they are taking for other illnesses. From Firewalls to Artificial Intelligence: Can the Healthcare Data Security War be Won? par8o is named after the 19th Century Italian economist, Vilfredo Pareto, who first defined the powerful economic concept of “Pareto Optimization” in which a system is able to maximize benefits for each and every participant. When applied to the healthcare industry, Pareto Optimization holds the promise of being able to improve overall access to healthcare while lowering costs. The par8o Healthcare Operating System allows healthcare organizations to optimize their networks of providers and other resources to deliver quality care by applying Pareto Optimization. This approach, and the technologies par8o has developed to implement it, are well-suited to the complex, multi-constituency nature of healthcare because they achieve continuous efficiency improvements while balancing the needs of all parties. Simply put, par8o helps organizations match the right patient to the right resource at the right time. Much like iOS or Android operating systems that tie together the user experience on your phone, par8o ties together payers, providers and patients to eliminate interoperability excuses to create a simple user experience. par8o is a venture-backed, EHR-agnostic platform that creates a common point for coordinating care delivery and plan design, a technology that connects providers, payers, and patients. par8o is a cloud-based healthcare operating system enabling all parties to improve care and optimize towards several clinical and business goals in parallel rather than to the detriment of one another. par8o helps clients succeed by applying Pareto Optimization, a powerful economic principle that succeeds because it is well suited to the complex, multi-constituency nature of healthcare. Simply put, par8o helps organizations match the right patient to the right resource at the right time, ensuring that patients successfully transition to the next step in their care. Spotlight Health allows consumers the ability to compare prices on medical procedures from doctors, hospitals and clinics in their area. With the dramatic increase in high-deductible health insurance plans, more and more people now have to pay for medically necessary procedures out-of-pocket. There is a consumer need in the healthcare market that wasn’t being served. Spotlight Health now makes it easy to research how much potential medical procedures will cost and allows consumers to have an active role in their healthcare spending choices. Spotlight Health allows consumers to compare healthcare costs for providers, procedures, treatments and office visits in their area. The Spotlight Health technology lets users find providers, clinics and hospitals in their geographical area based on city, state and zip code. The site also allows users to get estimated pricing for procedures, treatments, therapies and conditions based on the individual criteria. Our goal is to put price transparency in the hands of the consumer, while providing valuable data to patients, physicians, clinics and hospitals. Our vision for promoting Spotlight Health and generating income is to partner with healthcare providers (physicians, hospitals, clinics) so that they can update their pricing profile to reflect their exact charges. Providers will be able to advertise and promote their business to compete as the market shifts to a more consumer driven model. We are going to be adding a division that will help consult patients on their healthcare costs and help providers set the appropriate market price for their billing. In addition, our SEO and marketing teams are looking for ways we can improve visibility to reach more healthcare consumers. 2nd.MD provides direct access to the world’s best doctors for personalized second opinions via video or phone within about three days. When it comes to your health, don’t second guess, do 2nd.MD. When Clint Phillips’ — our CEO — daughter, Gabi, suffered from a stroke, the family faced immense hurdles to get answers to their health-related questions. The uncertainty of choosing the right doctor, the many months of waiting for an appointment and the time spent traveling to see specialist after specialist were constant struggles. 2nd.MD was founded to save other families from the confusion and barriers faced by the Phillips’ family. Leading doctors joined forces, as well as innovative investors, to develop 2nd.MD into a driven cause that continues to create more dedicated and passionate care. 2nd.MD partners with businesses and employers to provide our expert second opinion services to their employees. We communicate monthly through a variety of channels to stay top of mind with employees, reminding them to use our service when they need us. Our target audience consists of the 5 percent of employees that make up 50 percent of healthcare costs for companies. These employees are facing a new diagnosis, possible surgery or change in medication, and are not aware of their options. 2nd.MD allows employees the opportunity to speak with the top specialist for their condition, which provides the most up-to-date treatment options for each individual case. Additional statistics can be provided. Second opinions result in changed diagnoses in 15 percent to 20 percent of cases and modified treatment recommendations in 60 percent to 70 percent of cases, according to the Institute of Medicine. Because of the service 2nd.MD provides, we have no direct competitors. Companies, such as Best Doctors and Cleveland Clinic, do offer a similar service; however, they can take six weeks and do not provide direct access to a physician. As a result, the utilization and appeal of 2nd.MD is highly valued. instaRounds provides the most comprehensive mobile and web platform for physicians to communicate with one another, share call schedules, follow their appointments, allow cross coverage and, for the first time ever, give physicians a mobile patient sign-out application. Imagine a platform in which physicians can communicate in a Twitter-like feed with one another about those patients currently under their care. By real-time updates, critical decision making and care planning can occur seamlessly with the patient benefiting the most. instaRounds is a mobile and web platform that enables physicians to securely communicate with one another in a patients’ care team, by use of a patent-pending format that allows simple-to-use template interfaces that provides seamless patient sign out. Studies have shown that the most critical time in patient care is during the handoff of the patients from one provider to another; instaRounds nearly eliminates errors in sign out. Providers can use either a web interface or the more popular mobile app, available on iTunes and Google Play, to communicate with members of their team. instaRounds was founded by Kurian Thott, MD, a gynecologic surgeon who felt the void in patient care when it was almost impossible for members in his own practice to communicate securely and HIPAA compliantly. He figured there had to be a better way and when he found none, he created instaRounds. Built on the idea that for patient care to be better, physicians needed to communicate with one another, and instaRounds gives physicians this power.